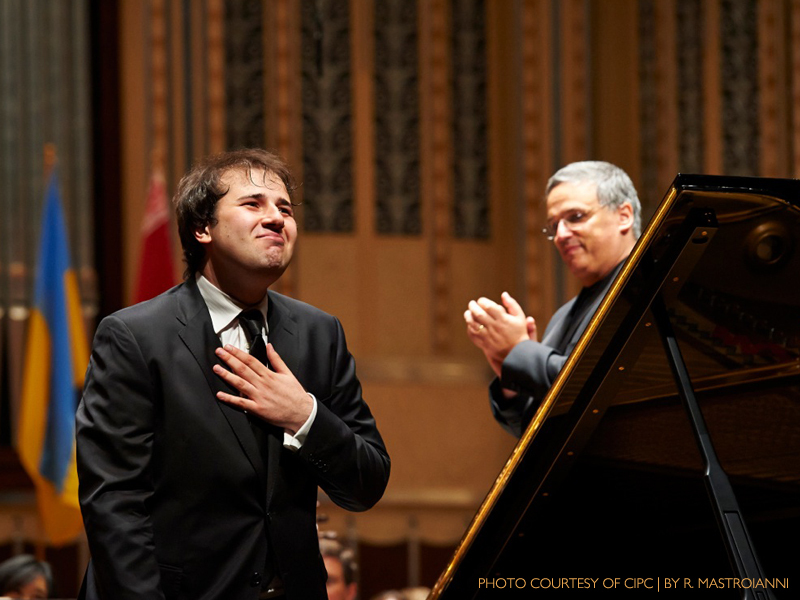 After his win of the 2013 Cleveland International Piano Competition on Saturday night at Severance Hall, the first congratulatory message Stanislav Khristenko received came from his former teacher and mentor Sergei Babayan, the 29-year-old pianist told WCLV during an interview with Jacqueline Gerber on the station’s morning program. “I was really touched by that,” Mr. Khristenko said more than once during the interview, adding that Mr. Babayan has been touring extensively this summer and must have been following the competition broadcast online. The win earned Mr. Khristenko a monetary prize as well as a contract to record a CD, an opportunity to perform in recital at Carnegie Hall and three years of professional management. In addition to taking top honors overall, Mr. Khristenko was recognized for best performance of a work by Beethoven, according to the CIPC news release.